Fabulous 5th Grade Fun: Book Review #1 ~ Blucy! Whew! What a week! It feels like forever since my last post. I've transitioned into my new position as an Instructional Technology Specialist....so strange not to be in the classroom anymore. I think we have our campus pretty well set for troubleshooting all things techie! Can't wait to get in classrooms and collaborate with teachers on integrating technology! Author, Julia Dweck, contacted me to review 2 of her latest Kindle books. Super thrilled to be able to read and review these books. I had the pleasure of sharing this story with my daughter and a few of her friends that were over hanging out. Right of the bat, 2 of my daughter's favorite things...a cat and the color blue! We all found the story amusing as a young girl, named Mandy, picks out a kitten from the local animal shelter. 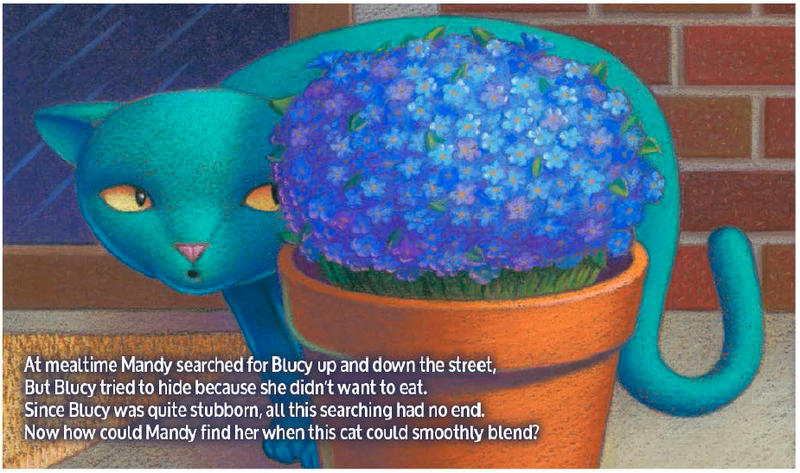 What Mandy doesn't realize is that Blucy changes colors! This mischievous cat is full of kitty antics! It's a great lesson on how a new pet and their owner must get to know one another at the beginning of the relationship. 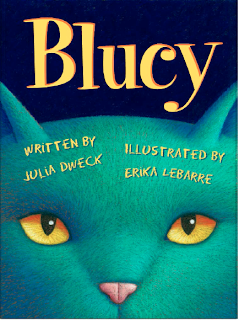 The great title lends itself to a class discussion, predicting why the story is called, Blucy. So many great activities can be incorporated with this book . . . rhyming, camoflauge, writing about the challenges of owning a pet, persuasive writing about getting a pet, character traits, compare and contrast with another animal book, animal rescue/animal shelters . . . 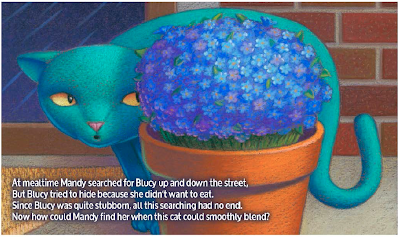 The whimsical rhyming pattern of the story, makes it a great read aloud. Bonus! The book includes fun cat facts and a hidden picture page at the end of the book. The eye-catching illustrations are created with fun bold colors that draw you in! 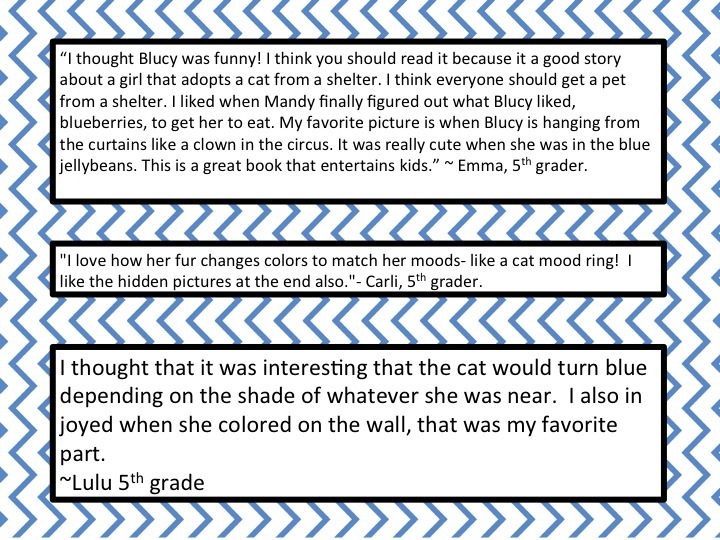 Don't take just take my word for it...the review of three 5th graders! I'll be posting about the other book soon. Check out Julia's website and her Amazon page! Sooo, many other great books! Your review did the trick! I want to get a copy of Blucy! Off I go to find it. What a cute book! 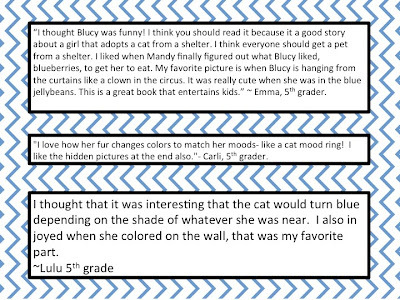 I love the reviews of the fifth graders. I will have to check it out for my fourth graders.